You have found your dream beach home! 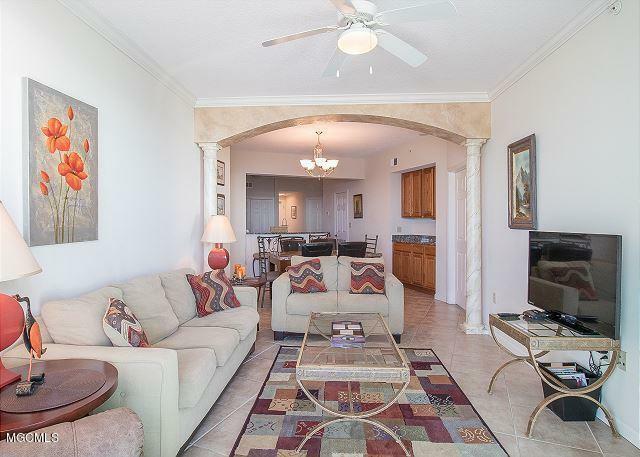 This beautiful luxury condo has 2 bedrooms/2 baths and is a spacious 1300 sq ft. Enjoy breathtaking panoramic views of the Gulf of Mexico from the master bedroom and living room-and from your oversized private terrace, which has plenty of room for lounge chairs as well as outdoor dining area to enjoy morning coffee with sunrise or cocktails and dinner with the sunset.The master bath features a garden tub to relax in and separate large walk-in shower. 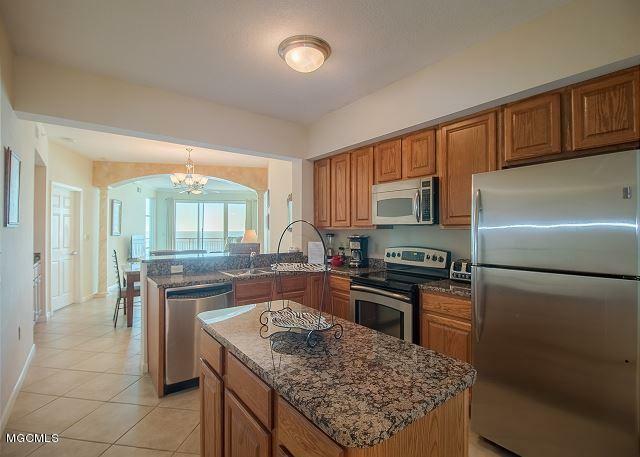 This home is filled with upscale features such as 9' ceilings, granite countertops, stainless steel appliances, custom cabinetry, breakfast bar, and island. 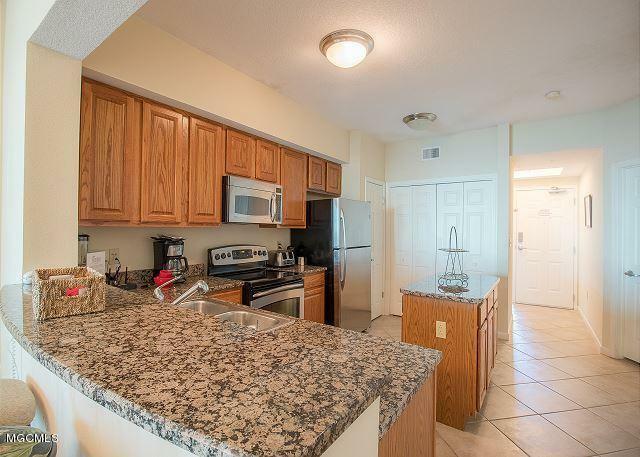 Easy-care tile floors are in all living areas and carpet is in the bedrooms.Legacy Towers is a dazzling waterfront sanctuary in a prime location. 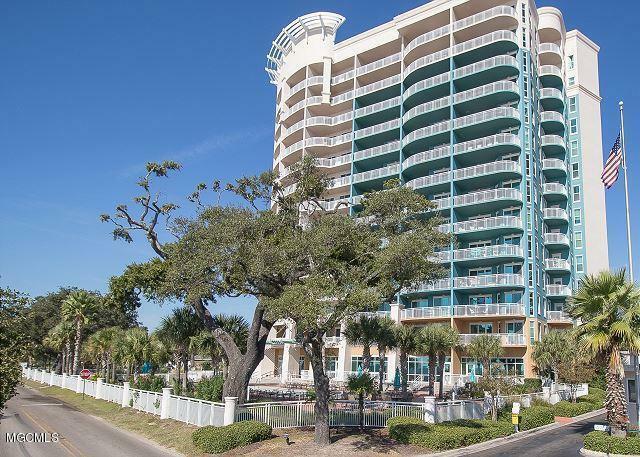 Listing courtesy of Theresa R Weyland of Biloxi Beach Resort Rentals, Llc.